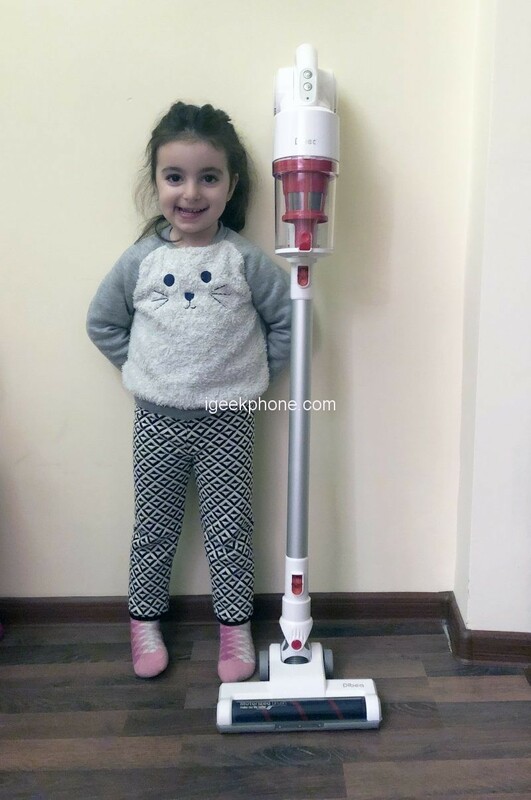 The Dibea DW200 Pro Cordless 2 in 1 Hand-held Stick Vacuum Cleaner offers 2-in-1 usgae, hand-held and vertical so you can choose a more suitable way to use it according to your needs. It features an ergonomic handle, comfortable for holding and operating. It is embedded with a cordless design, so you can clean everywhere without tangling. 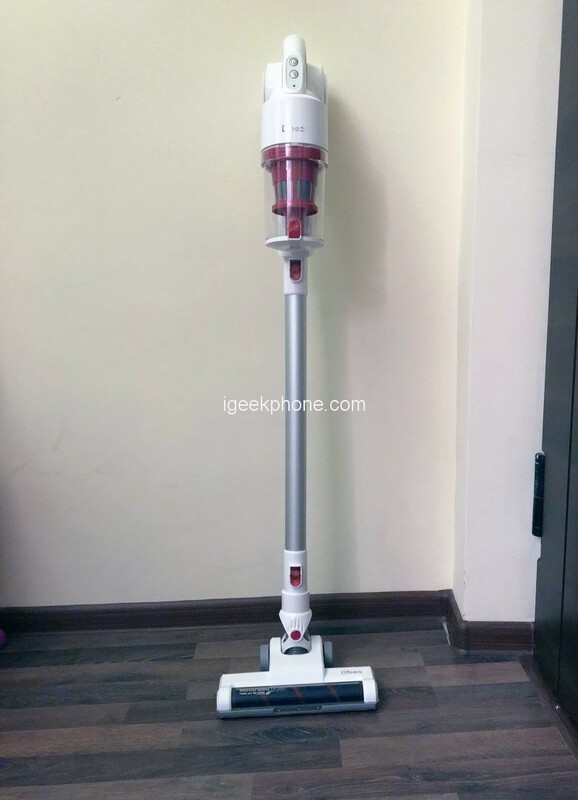 And one nice design of the vacuum cleaner is that it sports a large capacity dust bucket that can meet the needs of super-large area cleaning, convenient for daily use. This model has headlights. These are made up of 4 LED’s build into the power brush. As you guess, they will help you when cleaning dark corners, such as under furniture or in poorly lit rooms. The DW200 Pro uses a newly designed digital motor. The impeller of the motor improves the airflow efficiency. As the company claims, the maximum speed of the motor is increased from 10.8 of the previous generation (DW100) to 125,000 revolutions per minute, and the suction is increased by 20%, reaching 1700Pa. The motor is also replaced by ceramic bearings, which reduces the weight by 100 grams and makes it more portable to use. It is embedded with a large 2000mAh Built-in rechargeable lithium-ion battery with strong endurance and long service life, much more practical. This battery can work for 1 hour in the standard mode, or for 40 minutes in the MAX mode. In other words, the Dibea DW200 Pro is capable of cleaning an area of 120 square meters in 10 minutes. 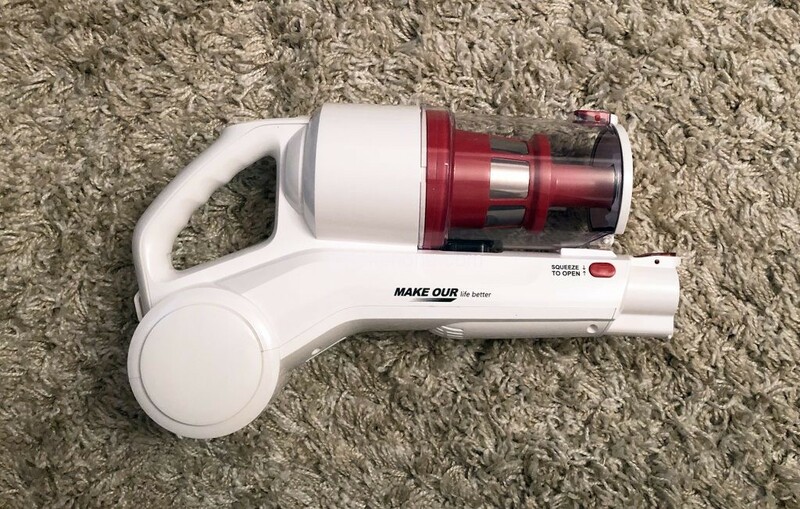 But you should also take into account, like other stick vacuum cleaners, it takes about 4-5 hours to charge. It is embedded with a Multistage cyclone separation system which can provide more efficient cleaning effect. It also features filtering function with a stainless steel fine mesh filtering design is convenient for daily use. and lastly, it has Two optional modes, two speed control for efficient and thorough cleaning in different occasions, easy to meet different needs. 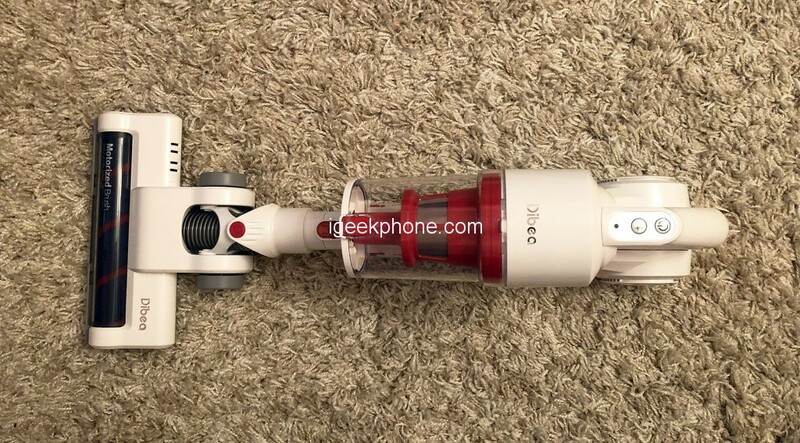 The Dibea DW200 Pro Cordless 2 in 1 Hand-held Stick Vacuum Cleaner is currrently avaialbe on Gearbest $149.99(Only2.25-3.3) at 24:00 (UTC+8 Beijing Time) using the coupon code: DBDW2PRO and every 2 units enjoy half price, $59.99, 18:00 (UTC+8 Beijing Time) 2.25 to 0:00 2.26.